NOTE: The download will be available on the release date. Announcing Pokémon Omega Ruby and Pokémon Alpha Sapphire for the Nintendo 3DS family of systems! Prepare for an epic adventure exploring a world filled with Pokémon! Pokémon fans first enjoyed Pokémon Ruby Version and Pokémon Sapphire Version when it launched in 2003 for the Game Boy Advance. Now, a whole new generation of Pokémon fans will experience the dramatic storyline that unfolds in Pokémon Omega Ruby and Pokémon Alpha Sapphire. 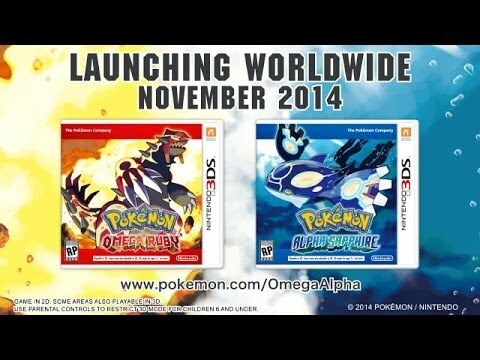 Look forward to Pokémon Omega Ruby and Pokémon Alpha Sapphire when the games launch worldwide in November 2014.